HCM City (VNA) – Vietnamese businesses have been urged to change their production and export methods to boost shipments to China – a big but increasingly demanding market for agricultural imports. At a workshop in Ho Chi Minh City on March 28, Vice Chairman of the High-Quality Vietnamese Product Business Association Cao Lam Vien said China has strong purchasing power thanks to its fast economic growth and rising per capita income that approximated 10,000 USD in 2018. Data of the Chinese Ministry of Agriculture and Rural Affairs show the country imported more than 137 billion USD worth of agricultural products in 2018, including 3 million tonnes of rice, nearly 5 million tonnes of cassava chips, 1.2 million tonnes of pork and 1 million tonnes of beef. It also imported 14.8 billion USD worth of aquatic products, 8.4 billion USD of fresh fruits and more than 830 million USD of vegetables. These figures indicate that China’s demand for agro-aquatic products is huge, presenting an opportunity for major agro-aquatic exporting countries like Vietnam, Vien noted. According to the General Department of Vietnam Customs, Vietnam exports about 1.2 – 1.3 billion USD worth of aquatic products to China annually, making it the third biggest supplier of these commodities to the market. Meanwhile, China is the fourth largest market for Vietnamese aquatic products. Vien said for the last 30 years, trade between the two countries has been conducted mainly via unofficial small-scale channels over the border. This form of trading poses many risks in terms of payment while making it difficult to control products’ quality and quantity. Additionally, agricultural producers and exporters of Vietnam have yet to pay due attention to trademark registration in China to join official distribution systems. Recently, China has tightened food safety regulations and demanded businesses import goods via official channels. Meanwhile, Vietnam’s agricultural products are also facing fierce competition for similar commodities of other countries. The official called on Vietnamese firms to change their production and export methods, noting that they should ensure their products meet China’s new requirements in terms of quality, origin traceability, packaging, labeling and barcodes. He also suggested they take part in prestigious fairs of China such as the SIAL expo in Shanghai and the China-ASEAN Expo in Guangxi, or agriculture trade fairs so as to access big partners and clients. They also need to make use of e-commerce to diversify their distribution channels in the market. 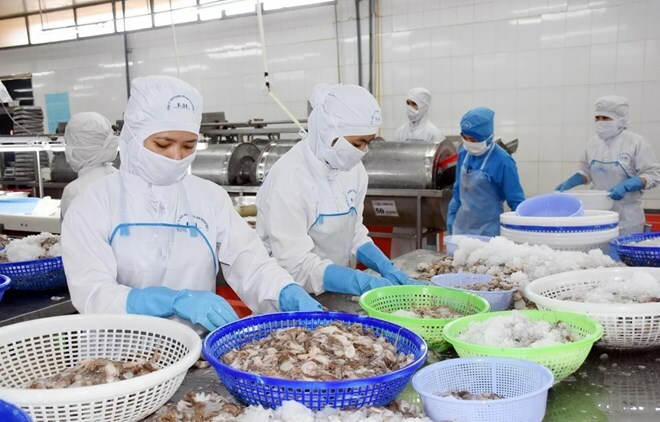 Secretary-General of the Vietnam Association of Seafood Exporters and Producers (VASEP) Truong Dinh Hoe said China’s tightened control of food safety and unofficial small-scale trading is a challenge and but also a chance for Vietnam’s agro-aquatic products to improve. At present, export through sea routes from Vietnam, especially southern localities, to China is increasingly favourable thanks to cheaper costs, and 2019 will offer opportunities to boost sea exports to China, he noted.